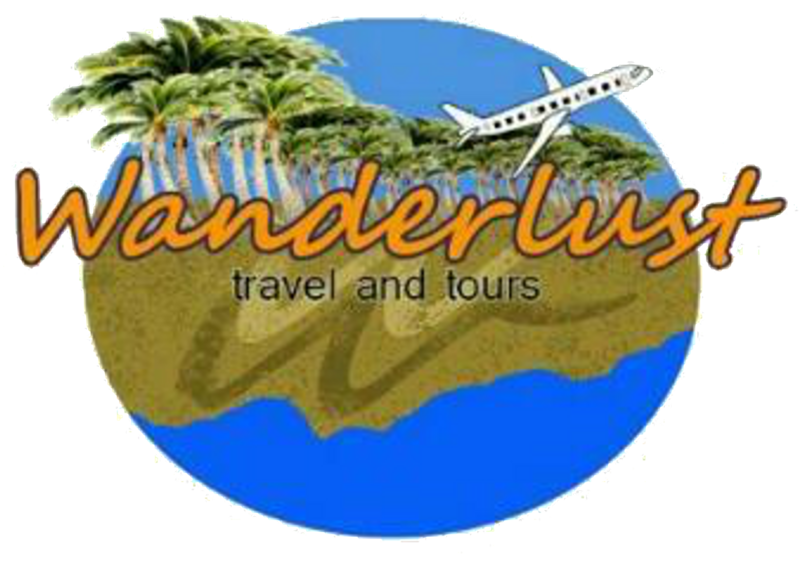 Get the latest travel updates and the freshest travel tips only at Wanderlust Travel and tours. This section is a compilitation of some helpful tips from differents sources. 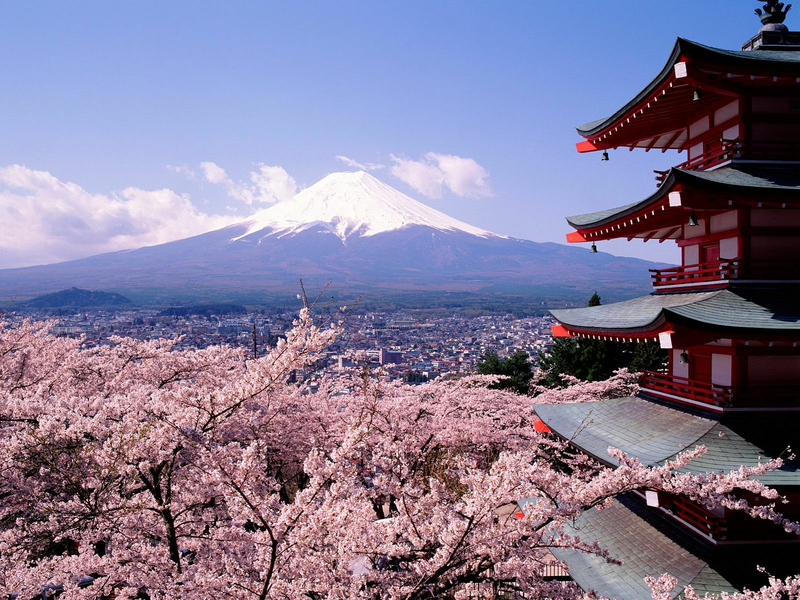 Japan has always been on the top five list on every travellers bucket list. Here are some facts on travelling to japan and how to lower down cost. 1. Unlike Singapore, Malaysia or Thailand, JAPAN is a very EXPENSIVE DESTINATION! 2. To reduce cost, you need a degree of independence like a short walk or subway ride to the hotel for tour or transfer. So how to make the cost lower? 5. Always take a SIC tour as it is much cheaper even for families than to ask for private tour. 6. No one offers tour with transfer to Disneyland or Universal Studios. Remember there are TRADE OFFS between absolute convenience and cost........you cannot have both convenience and cheap price! 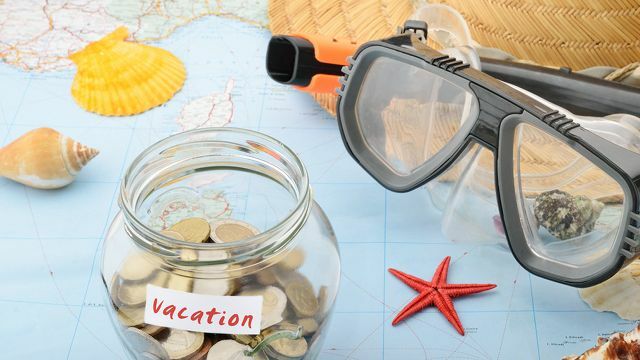 Are you dreaming of your bucket list destinations but find the cost too high? Perhaps it?? ?s time to set up your travel fund. At the same time, know that your adventure need not come at a high price. Or if it does, you can mark it down yourself. 1. Book your flights during airline seat sale . Transportation, especially flights, takes one of the biggest chunks from your travel budget. Join the mailing list of airlines and stay updated on their promotions. You will have to plan your travel dates ahead, though, as the cheapest airfare can usually be bought a year or several months before the flight. Plan your travel so that when the seat sale comes, all you have to do is buy your ticket. 2. Go for hostels, not hotels. Accommodation is another expense that takes a big bite from your budget. If all you need is a bed to crash on and a toilet and bathroom, then you can opt for hostels, pension houses and guest houses. You might even make new friends there, especially if you are staying in a dorm-type room. Most hostels also have common areas where you can hang out and chat with other guests. You can check out hostel reviews online before booking to see if the accommodation is up to your standard. Another way to save money on accommodation is to sign up at Couchsurfing.org, a group where you can connect with other travelers and find people to host you for free in the places you visit. Researching ahead on the transportation system of the place you are visiting will help you cut down on cost as taxis, especially from the airport, can be expensive. Many airports in other countries offer public transportation like buses ??? just do your research beforehand. Here in the Philippines, you will find some airports whose outer roads are plied by public utility vehicles. All you need to do is walk past the taxis and go outside the airport. Forego the fancy or casual dining restaurants and try local open-air food centers and street food. Just do your research first to ensure that what you will be eating is clean. You can also observe how the vendors prepare the food. While not a hard and fast rule, traveling with a group is generally cheaper than traveling alone. Think economies of scale: if you are hiring a tour guide or if you are taking a boat to another island, the group will be splitting the cost and you need not shoulder the entire amount on your own. If you are flying with a budget airline, you usually need to buy your baggage separately from the airfare. Baggage, especially for international flights, can come at a steep price once you compute the total for your round-trip flight, and can even go higher if you have connecting flights. If you pack well and bring only the essentials, you might not need to check in luggage. It is best to weigh your bag beforehand to be sure and to avoid paying for excess baggage. Traveling light will also make getting around on public transport easier [see number 3]. For those who are not the do-it-yourself type, buying a travel package on a coupon site is one of the best ways to cut down on travel costs. Subscribe to the mailing list of coupon sites and check their travel deals from time to time. Prepare your budget months ahead so that you can easily buy once you find a travel deal that interests you. Just do your research on the travel agency of the deal you like if you want to be assured of its reputation. 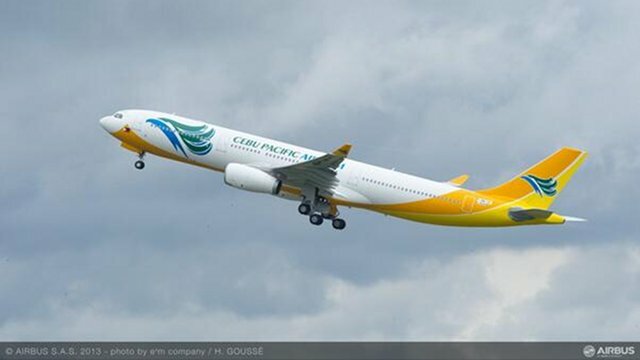 MANILA, Philippines – Budget airline Cebu Pacific of billionaire John Gokongwei Jr. is set to become the second local carrier allowed to fly to Europe. Julian Vassallo, Chargè d’ Affaires of the European Union (EU), and officials of the Civil Aviation Authority of the Philippines (CAAP) are scheduled to announce in a press conference Thursday, April 10 the lifting of the EU ban on Cebu Pacific. In July, the EU lifted the ban on Philippine Airlines (PAL), allowing the legacy carrier to fly to the 28-nation bloc again. CAAP Director General Lt. Gen. William Hotchkiss III and CAAP Deputy Director General Capt. John Andrews will preside over the press conference Thursday. Cebu Pacific president Lance Gokongwei is also expected to attend the event. The EU blacklisted Philippine carriers in 2010 after the International Civil Aviation Organization (ICAO) classified the Philippine aviation industry as "a significant safety concern." CAAP failed to comply with safety standards that ICAO required. ICAO scrapped this classification in March last year, prompting the EU to lift the ban on PAL. Jointly owned by tycoon Lucio Tan and diversified conglomerate San Miguel Corporation, PAL started direct flights to London in November. The EU however kept other local carriers on its blacklist, saying "progress [was] still needed to reach effective compliance." EU Ambassador to the Philippines Guy Ledoux said then that accidents involving Cebu Pacific planes showed some weaknesses. A Cebu Pacific plane carrying 165 passengers overshot the runway of the Davao International Airport in June last year. No one was hurt in the incident, but several passengers complained it took a while before they were ushered out of the aircraft. Nearly two weeks after, another Cebu Pacific plane figured in an accident at the Ninoy Aquino International Airport. Cebu Pacific worked on addressing remaining safety concerns, and was supposed to seek the EU's green light to fly to Europe in November. It postponed the plan to give way to rehabilitation efforts following the devastation caused by Super Typhoon Yolanda (Haiyan). In January, Cebu Pacific informed the Directorate General for Mobility and Transport of the EU in Brussels that it already complied with all outstanding safety concerns. Aside from the lifting of the EU ban, regulators are pursuing the upgrade of the Philippine aviation safety status by the US Federal Aviation Administration (FAA). The US FAA downgraded the Philippines' status to Category 2 from Category 1 in 2008 upon the recommendation of ICAO. Category 2 prohibits Philippine carriers from mounting new and additional flights to the US. Airlines in Category 2 countries are also placed under heightened US FAA surveillance. 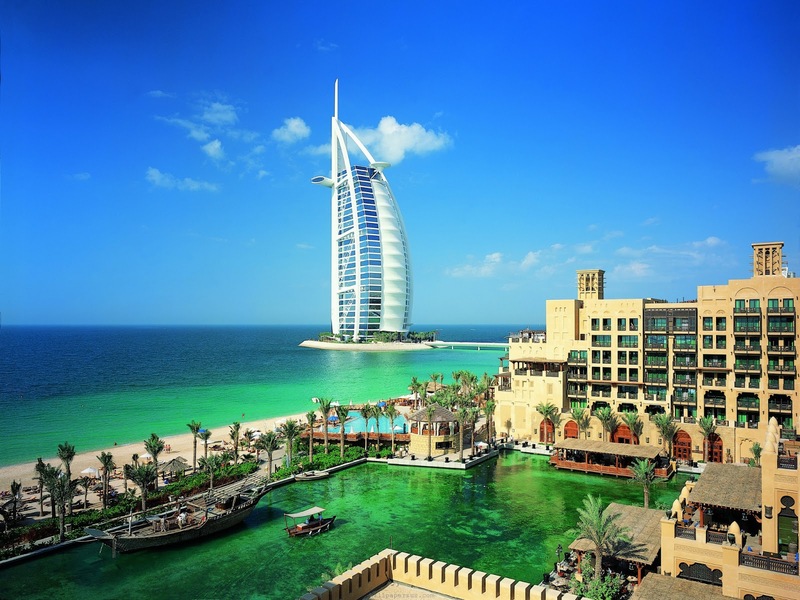 Planning a vacation in Dubai during the dry season? Get ready to shell out up to Dh20 (P243.29) in "tourism dirham." Starting March 31, hotels in Dubai are charging the fee mandated by the Dubai Department of Tourism and Commerce Marketing, Gulf News reported. “The revenues raised from the tourism dirham will be used to fund the development of the emirate’s tourism and trade sectors, which includes investment into both enhancing the destination offering and into marketing,” Gulf News cited an emailed statement from Issam Abdul Rahim Kazim, CEO of Dubai Corporation for Tourism and Commerce Marketing (DCTCM), a new affiliate of DTCM. Gulf News said the fee applies to guests staying at hotels and hotel apartments in Dubai per room per night. Under the system, hotels will collect the fee and pass it on to DTCM. 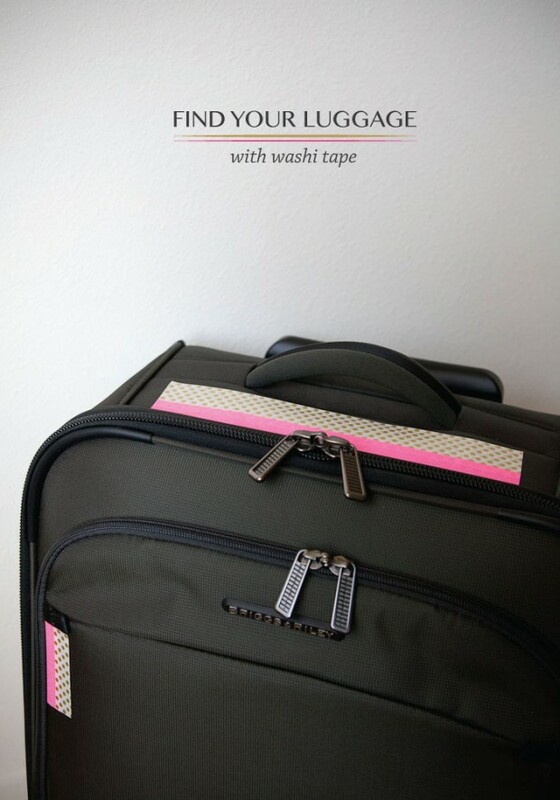 Trouble finding your check-in luggage? Put some unique washi tape on it. MANILA, Philippines - Solo travel can be richly rewarding, and is a whole different experience from traveling with family or friends. As someone who traveled solo for almost two months and also met amazing Filipinas who did, I highly recommend to everyone to try solo travel at least once, whether it’s a weekend or a long-term adventure. But there are safety precautions to take, especially for women. READ: Should women be traveling solo? Actions like keeping your money in different places and securing your passport and having a photocopy of it are even more important when you’re alone and may not easily be able to get help if something untoward happens. Aleah Taboclaon, who backpacked Europe for 70 days by herself and is now traveling in India solo as of writing, also recommends keeping a scanned copy of your passport in your e-mail for additional security. This step will help you determine first if it’s safe to go to the country or city you’re planning to visit, plus the security measures you need to take. Researching can protect you from scams and crimes which may be common in some areas. For example, Aleah says she would have fallen for a scam when she was in Bangkok had she not researched in advance. “My tuktuk driver told me the Grand Palace was closed that day,” she recalls, when in fact it was not. In this type of scam, the drivers then usually take unsuspecting tourists to establishments where they will be forced to make expensive purchases. There are some countries, for example, where wearing short skirts or plunging necklines are not the norm and may draw attention. This especially applies to temples or other places of worship. So dress appropriately also to avoid calling unwanted attention to yourself. nform at least one person you trust about your location. Also, bring contact information of the person to call in case of emergency with you wherever you go. Keep a back-up of the important numbers in your phone book as an insurance in case your phone gets stolen. You can also bring items for additional security. Gael Hilotin, who travels mostly solo around the Philippines and in Asian countries, recommends bringing a whistle or a pepper spray to attract attention when you’re in trouble. Always be alert and don’t leave yourself vulnerable through actions like getting absorbed in your map in a public place. Don’t easily disclose to strangers information like the accommodation you are staying at, or that you are traveling alone. Be mindful of your food and drinks, especially if you are hanging out in bars where other people might slip something into it. Above all, trust your instincts. If something doesn’t feel right, get yourself out of that situation as fast as possible, as what Lilliane Cobiao, who traveled solo around the world for 14 months, advises. On the other hand, if your gut tells you it’s right – though it may be against your logic – you may actually need to listen to it. I’ve accepted travel invitations from some strangers which led to some of my most memorable experiences. While solo travel is about getting out of your comfort zone, don’t do things which you feel you may not be able to handle or would rather avoid. Prime Sarmiento, who has been traveling solo around Asia Pacific and North America, says she prefers to go to places where English is widely spoken. As a woman, she also avoids countries which she feels has a “strong culture of machismo” and thus may not be too safe for women. What are you waiting for? Why not plan a solo adventure and set off? It does not have to be a long trip or overseas. You can actually start small, with just a day or overnight trip here in the Philippines. Have you ever wondered if PISO Sale are true? Many of you may have thought that this is just a scam that airline use as promotion. But you were wrong. 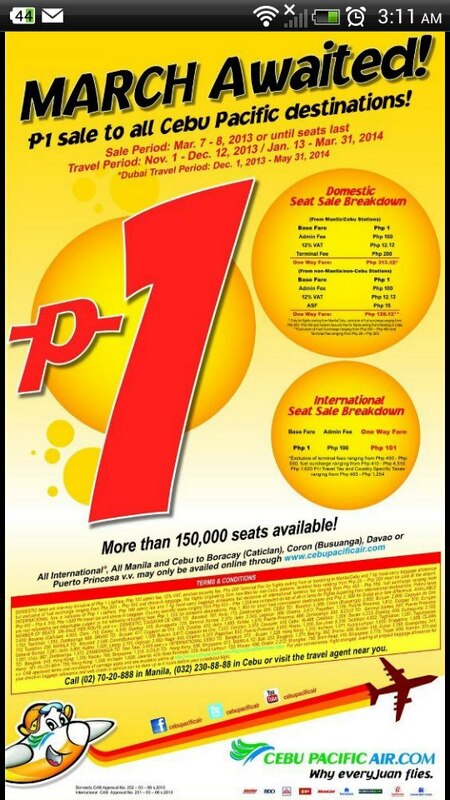 PISO SALE are not just faux promotion, it is true I have traveled a lots of time using a PISO Sale ticket. The truth about Piso sale is that they are so very limited you may not see it if you are not patient enough. To give you an idea how much it will cost with all the charges and taxes I have tried looking for a piso fare an I saw one from manila to cdo round trip. Total Amount is Php 1,113.24 all in. 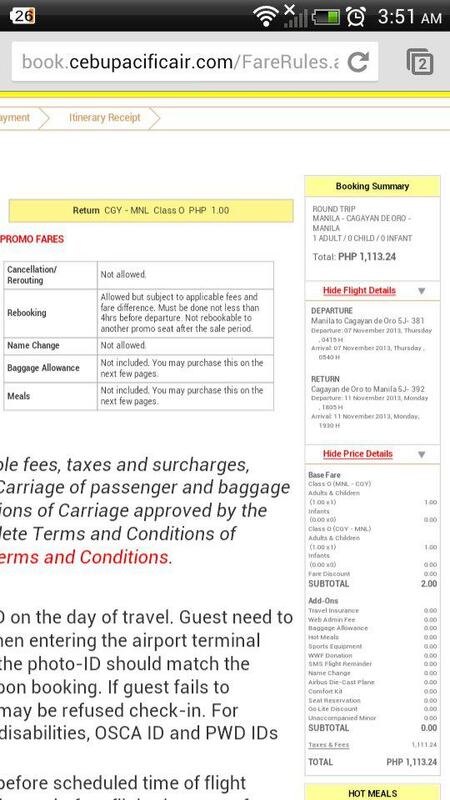 Now you may be thinking that Airline are liars how come it's Php 1,113.24 when the ad says its PISO. The amount that airline post on their ads are BASE FARE only. Our Government impose taxes and airport impose charges to airlines for the use of thier facilities and of course airplanes needs fuel in order to operate and these charges are added to the base fare. Follow or consider doing these to help you in book for PISO SALE. 1. PISO SALE are often announced on MIDNIGHTS and on SPECIAL HOLIDAYS(e.g. valentines sale, christmas sale)  or END and START of the Month( e.g March Awaited) if  your having trouble sleeping try checking airline sites on midnight or subscribe to airline's mailing list. 2. Be flexible with you Destination. Try booking for a less travelled place. You'll have a greater chance to get piso on Dipolog(where DAKAK is located) rather than Kalibo or Caticlan. 3. Be flexible with your travel date. Almost all travellers travel on weekends. Book yours on weekdays. 4. Try booking for 1 person first and you're sure you'll find an available seat. Then try booking for 2 persons if i works try again for 3 persons until you reached your desired number of passenger. Most of the time it only work for 1 person booking if that's the case you would have to book your ticket one passenger at a time. You would need a lot of patience and hardwork when hunting for PISO SALE.